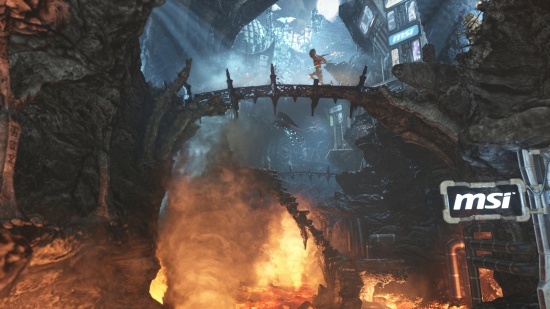 Benchmark Results: 3DMark Fire Strike benchmark has the EVGA GeForce GTX 760 2GB Superclocked w/ ACX Cooling scoring 5844. 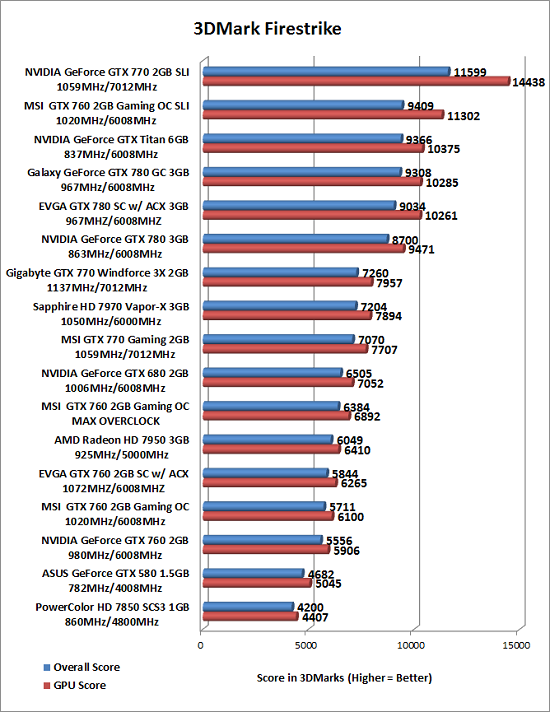 This makes it 5.2% faster than the reference NVIDIA GeForce GTX 760 card. 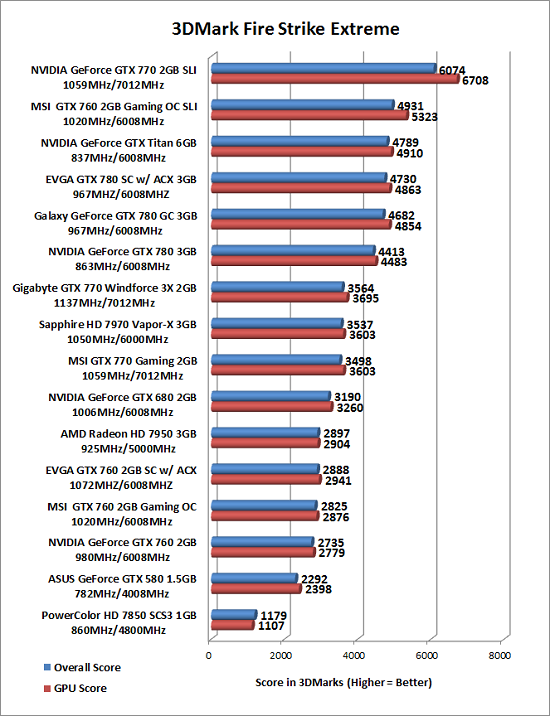 Benchmark Results: 3DMark Fire Strike Extreme benchmark found the EVGA GeForce GTX 760 2GB Superclocked w/ ACX Cooling scoring 2888. This makes it 5.6% faster than the reference NVIDIA GeForce GTX 760 card.